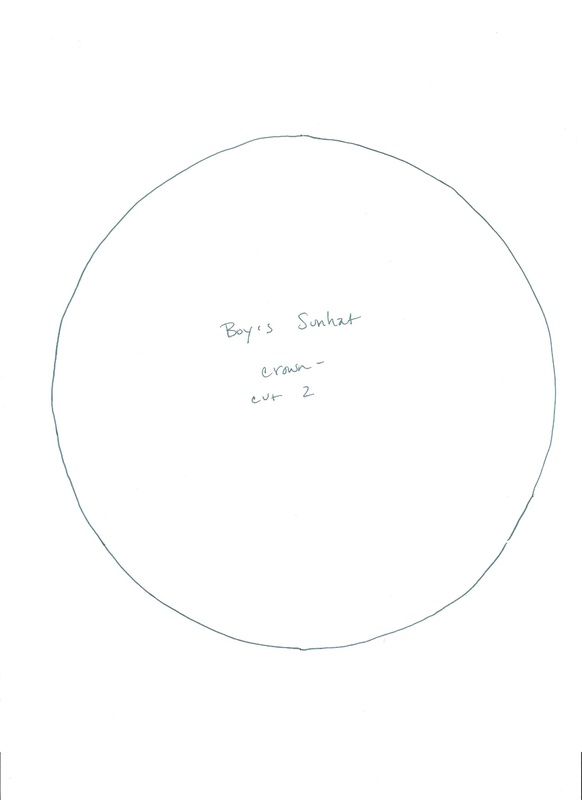 Boy's Sunhat Pattern and Tutorial. - Clean. Boy's Sunhat Pattern and Tutorial. Don't limit yourself to just this one page. There is loads of good stuff here, from sewing project to do with (or for) your kids to musing on motherhood to yogurt- and butter-making tutorials. Take a look around. I think you'll like it here. Some favorite tutorials (if I had to choose) include my zip bag tutorial, birthday bunting, and wool felt crown. So make some tea and stay a while. Edited to add: I revised the pattern to make it easier to print the pieces to scale. The new version of the free sunhat pattern can be found here. This is a little late in coming. I promised this pattern to you weeks ago! I didn't make the time to stitch up a second one and I didn't want to post it without photos, thus the delay. But summer is wearing on and I have this image in my head of many little boys out in the sun, squinting like mad. So here it is - a sewing pattern without photos - but a pattern none-the-less. Go forth and sew hats, you brave, bold mamas. Pattern - three pieces (below). Print without scaling so that you get the proper size. All sewing was done with a 1/2 inch seam allowance. This was sized for my 7 1/2 year old. Adjust as needed to fit a younger or older child. 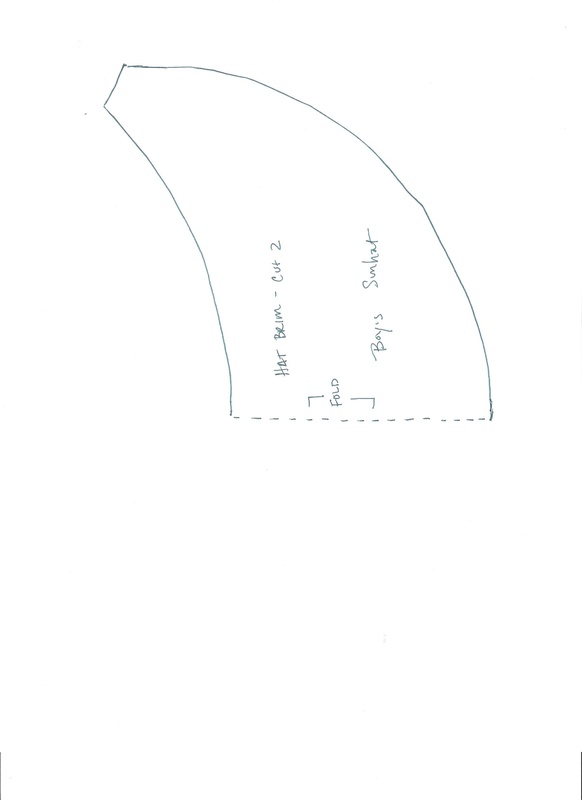 Boy Sunhat Brim Pattern - cut three (two outer fabric, one interfacing.) Note: When you cut out your paper pattern fold and cut so you have the entire 1/2 moon. I only copied down 1/2 of the pattern to make it fit on a single sheet. Cut interfacing brim down by 1/2 inch on all sides. Sew outer curved edge of brim, right sides together. Insert interfacing and trim if needed to fit smoothly inside. Top stitch outer curve through all layers to hold interfacing in place. Fold hat band so that the short ends line up (right sides together), creating a flattened cylinder. Pin cylinder shape carefully to hat top (also right sides together). Pin brim to hat, centered opposite of back seam with top side of brim flat against front of hat (it will look like someone flipped the brim up, 1980's grade school style). Sew into place and flip down. It should be starting to look like a hat now! Press under 1/2" on bottom edge of hat and hat lining. Insert hat lining into outer fabric hat and top stitch together very close to the edge. Your hat is done! Dance around a little and then call in your boy (or girl) and share your creation. Feel free to leave comments or send emails with your questions.